Martial arts training is said to be a “valuable activity for children” with autism. 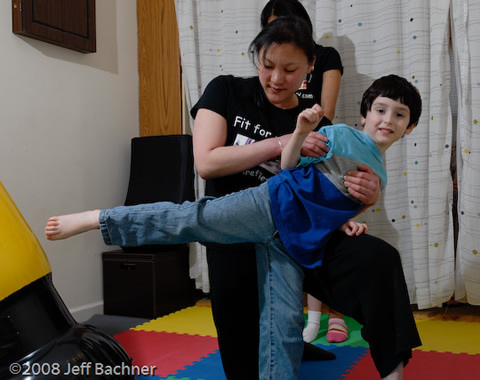 According to Autism Speaks, martial arts training is similar “to well-researched behavioral interventions such as ABA.” Taekwondo can empower your child by improving on their skills and encouraging them with new avenues of discovery. 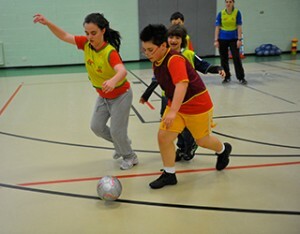 Super Soccer Stars Shine is another great program designed to teach children with developmental and intellectual disabilities important life skills through a sport—soccer. With the help of licensed educators and therapist, they have designed a developmental appropriate curriculum that promotes the growth and improvement of each child. They are located all over NYC, but with 17 locations here in Brooklyn, Super Soccer Stars has become a very popular special needs program (and summer camp) for kids of all ages. 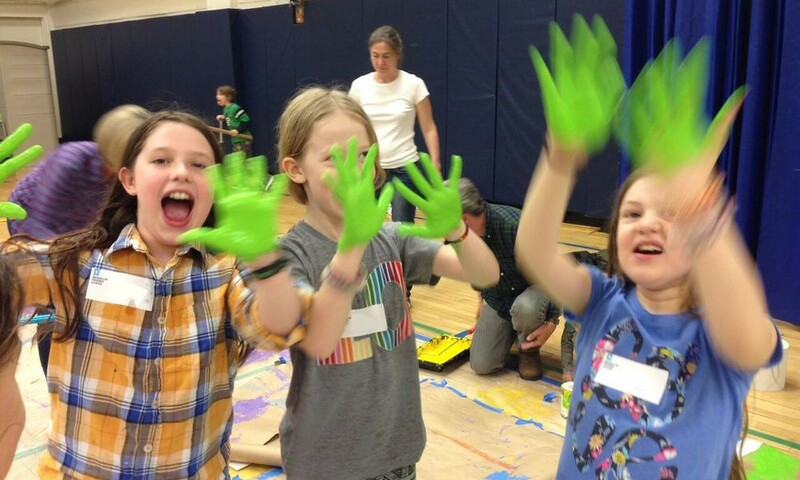 The Shine Program has seven focuses points: gross motor skills, self awareness, agility, balance and coordination, self-confidence, task completion, socialization, and teamwork. Children with autism or other developmental disabilities often have difficulties with motor coordination or attention deficit. In a sport like soccer, these two things play a major role. How can a child facing these challenges run and kick the ball to fellow teammates? Teamwork is key. The Shine program provides each child with a Shine Shadow to help the child stay engaged and assist them. As the child gains competency and confidence, the Shine Shadow is phased out. To find out more about the Shine program, as well as their summer camp, check out their website. Extreme Kids & Crew is a nonprofit organization dedicated to connecting and empowering families raising children with special needs. They are strong believers of pay-what-you-want, although they do ask for an annual membership fee of $50. They have two sensory gyms located at two different locations in Brooklyn—Red Hook & Bedford-Stuyvesant—so it’s great for families that live near or around these areas. Extreme Kids & Crew allows children with special needs to interact with others and build upon social skills. Arts, Movement and Play (AMP) Space is the larger of the two sensory gyms in Extreme Kids & Crew. It is located at RedHook in P.S. 15—The Patrick F. Daly Magnet School. It is ideal for children ages 5 to 12 years of age, however younger and older children are welcome. The AMP space is inexpensive, it is free for all members and only $10 for non-members. Music and art events are held at AMP once a month, as well as a variety of classes. If you are interested, you should definitely check out their calendar for their next event. If you can’t wait, you can always stop by on a Sunday for the Open Play Area. An after-school program is held at the AMP Space for individuals who have an IEP, however they must be enrolled at and receiving services at the P.S. 15. But no worries, if your child does not attend P.S.15, they can still partake in the music and movement classes that are held at this location. Crispus Attucks Playground (CAP) House is smaller of the two sensory gyms in Extreme Kids & Crew. It is located in Bedford-Stuyvesant and is ideal for children 4 and younger. Visit the open play area every Saturday from 11am to 2pm. Age appropriate books, therapy balls, and other sensory equipment can also be found at this location. Start your search for Brooklyn special needs programs at Extreme Kids & Crew. It was founded by Eliza Factor, who wanted to create a space for ALL children (with and without disabilities) to come together and be themselves.